When it comes to ordering your favorite drink in a coffee shop, you get a lot of choices. From hot to cold beverages. As well as coffee, tea, smoothies and juices. In this article we put two popular coffee drinks head to head: Frappuccino vs cappuccino. Do you know what they are? Which do you like better? We look into what is used to make each of these drinks. This way you can tell which one you’ll prefer. 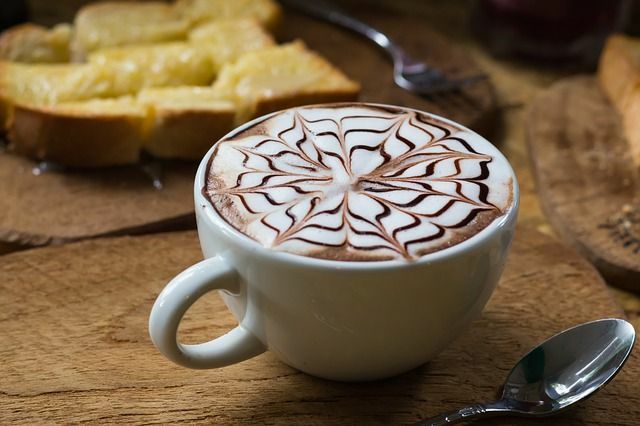 In addition, we’ll show you how to make your own cappuccinos and Frappuccinos at home. Their names both sound very exotic. That’s because the word cappuccino originated from Italy. It literally means coffee made with milk. Frappuccino meanwhile is a registered brand name of Starbucks. It derives its name from cappuccino since it was initially based on the popular coffee drink. Starbucks has however, expanded this line to cover different beverages, not just coffee. Basically, Frappuccino is Starbucks line of frozen coffee drinks. Now we know that, let’s delve deeper in to the difference between cappuccino and Frappuccino. Though a few other options exist for a Frappuccino, Starbucks has become the modern-day creator and manufacturer of the Frappuccino. There are varieties made of juice and also varieties created using coffee as its main ingredient. A signature trademark of the drink is the ice and cream blend, usually in the form of whipped cream. The drink is often compared to a coffee milkshake. This is because it has a very similar texture and is very close to the traditional milkshake in the way you drink it. A multitude of options have become available world-wide, ranging from caramel additives to vegan recipes. Not all of the Frappuccino flavors contain espresso, as the name would lead some to believe. Because of this, a Frappuccino varies drastically from an actual cappuccino in both basic ingredients and nutritional value. 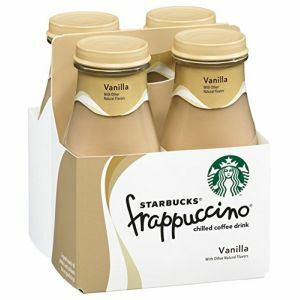 To take a look at what kinds of Frappuccino drinks are available right now at Starbucks, click here. If you followed the link to the Starbucks page, your mouth is probably watering right now. You’re probably thinking, “I wanna try that one, and that one, and that sounds good too”. You can of course, head on over to the closest Starbucks which is probably nearby to try a few. But we’ve got something better. Why not make your own Starbucks Frappuccino at home. Bet you enjoyed that one! From a health standpoint, the Frappuccino has come under scrutiny. Not only are these drinks high in calories, but the majority of the calories are derived from the sugary additives used to make the drink more appealing to consumers. Unlike a standard cappuccino, the Frappuccino contains ingredients that are heavily processed and generally stripped of their beneficial nutrients. Frappuccinos are loaded with empty calories but in many of the fruit blended recipes, trace amounts of vitamins may be found. For this reason, despite their being very delicious and refreshing, we recommend that you don’t drink them too often. 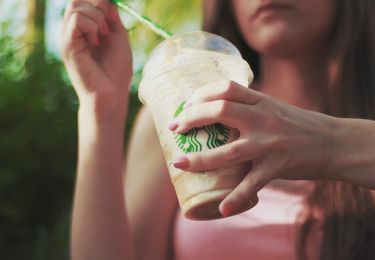 One “Frap” every now and then is fine, but don’t make it a habit because too much sugar is never good for our health. The cappuccino meanwhile, is a more traditional drink. It’s an actual coffee drink without the loads of sugar. Cappuccinos are made from a combination of espresso, hot milk and specially prepared milk foam. While maintaining the nutritional characteristics found in espresso, a traditionally prepared cappuccino served with the added milk. Because of this, it contains proteins and fats that are not normally associated with coffee drinks, at least regular coffee that is. It is the espresso that gives the drink its added nutritional benefits outside of what one would find in generic milk. 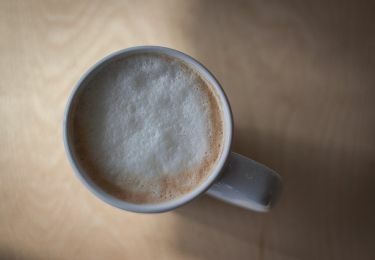 Cappuccinos can be an alternative source of calcium, as well as an array of B-Vitamins. Because of the mixture of the milk and espresso. It should be noted, however, that many of the “cappuccino” drinks found in convenient stores are nothing more than flavored water high in calories derived from processed sugars. So it’s important to understand what you’re getting. But from our experience, it’s often more important to know where you’re getting your coffee from. Coffee from a good quality barista or coffee shop ensures you get the genuine thing. A cappuccino contains slightly less caffeine compared to a standard cup of brewed coffee. That’s because it’s based on an espresso, which generally has fewer caffeine compared to regular coffee. While caffeine itself has been used to help with depression and anxiety, high doses can negatively affect people with anxiety issues. 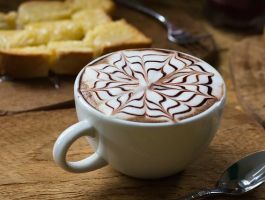 If you want to be able to make your own cappuccino at home, here’s an easy to follow guide on how to whip up your own delicious cappuccino without having to rely on the barista from the coffee shop. We’ve mentioned the word espresso quite a bit in explaining both the cappuccino and Frappuccino. So we think it’s just fair to explain what an espresso is. As you’ve already guessed, an espresso is another kind of coffee drink. It is however, different from regular coffee. An espresso is a specially brewed form of coffee that contains a much higher concentration of beneficial nutrients when compared to standard coffee. It is made when high-pressure hot water is passed over finely-ground coffee beans. The result is a syrup-like brew with a rich foamy head. It is the specialized brewing process that picks up dissolved solids rich in magnesium, niacin and riboflavin. Magnesium has been used to help relieve anxiety, regulate the uptake of essential minerals and has also been shown to help improve heart health. Niacin, otherwise known as Vitamin B3, is often used to maintain healthy levels of “good” cholesterol while also lowering levels of “bad” cholesterol. Riboflavin, or Vitamin B2, helps the body convert nutrients into usable energy. Because riboflavin cannot be stored within the body itself, it is important to make sure that a reliable source of Riboflavin is found daily. Because of the brewing process, as well as the specialized beans used, you not only get more nutrients with each shot of espresso, but also more flavor compared to regular coffee. One thing to note however, is that in general espresso contains fewer caffeine than regular coffee. A 2 oz. double espresso shot contains around 80 mg of caffeine. A regular 12 oz. cup of coffee usually has around 120 mg of caffeine.